Join Nancy for private or semi-private lessons! 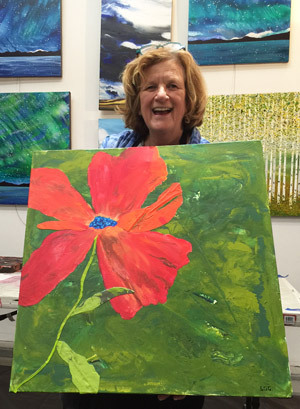 Nancy will guide you as you learn to paint with acrylics or watercolor. She can also help you with your drawing skills through nature journaling in the studio or outside. Contact Nancy for more details and pricing information. All ages accepted. Gift certificates for lessons are also available. For more information, please contact Nancy.